It's back and better than ever. Are you ready to hear from top employers and professionals as well as learn from their successful apprenticeship programmes? Discover the benefits of investing in apprentices and getting the right programme in place for your business to ensure talented employees with the right skills are ready to hit the ground running and increase your business' productivity. Learn best practices and ways of attracting talent from non-university graduates: if top universities won't guarantee the skills your business needs, apprentices may be the right solution for your talent acquisition. Our speakers will give you the tools to set up and run a successful apprenticeship programme that fits your business needs, as well as show you the impact it will have on your productivity and the positive benefits of offering hands-on experience and career development to young people. We will also discover the latest political and educational changes and how it affects the development of your internal programmes. If you are an in-house HR professional, our event is for you! This conference has been tailor made for HR Managers and Directors, Heads of HR and Talent Management, L&D professionals, Recruiters, Graduate and Apprenticeship programme specialists. Milkround is your graduate career resource with hundreds of internships, placements, graduate jobs and schemes. Start your job search here, or use our advice pages to research careers and help with your decision making. We’re committed to giving students and graduates career confidence, and that means conquering fears of finding, applying and making that first step on the career ladder. With Milkround you get direct access to employers. 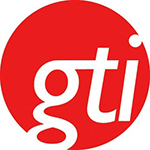 Group GTI is the leading early careers business in the UK providing an unrivalled range of products and services to the early careers market, including the leading job boards TARGETjobs.co.uk and TARGETcareers.co.uk, trendence research and TARGETrecruit, the recruitment process outsourcing (RPO) business. They are passionate about early in careers recruitment and fully embedded in the early careers market - and it shows in their results. They bring the latest ideas, innovation and best practice to their clients’ campaigns, allowing them to recruit the highest calibre talent for their organisations. Some of their clients outsource their complete early careers recruitment campaigns to Group GTI, while others use them to support or develop specific elements of their recruitment process such as marketing & attraction, application screening, telephone & video interviewing, candidate management and assessment centre design. 10:35 How to get Apprenticeships working for your business - making your programme fly! 11:30 Could avoiding graduates give your business the competitive advantage? Our education system was designed during the enlightenment for manufacturing-based roles therefore why are we putting such emphasis on the results as indicators of ability/production in a services-based economy? How are we engaging with apprenticeships in schools? Defining an apprentice programme - how to prepare for apprentices and maximise the resources you have. Switched on for your business - what does an apprentice programme look like in your organisation? The energy of apprentices - what impact they have and the challenges faced. 15:45 "Use it or lose it, don't fund your competition"
Existing team: Establishing a talent pool, efficiency programme and strategies to optimise your levy. Carolyn Savage is Head of the Communications and Events team at the National Apprenticeship Service, and has worked in the field of education and skills for a number of years. Part of her current role is leading on learner engagement and promoting the benefits of an apprenticeship. With over 15 years in the learning and Development arena, specifically in the world of Apprenticeships, Chris currently manages the Apprenticeship Programme to over 60 Apprentices at Electricity North West. Prior to this role he managed the Emerging Talent Programme for Graduates and Apprentices at AO.com. In his role at Electricity NW, Chris has designed and delivered Apprentice programmes in a number of areas from Project Management to IT, Business Analysts to Digital Marketing, Business Marketing to Customer Service and more recently within the engineering sector. The programmes have emphasised the importance of not only developing Apprentices technically but in other areas also, and have included activities such as Duke of Edinburgh Gold Awards, residentials, charitable activities director presentations and site visits to relevant suppliers all while ensuring the business needs are met and the line managers are fully supported. James is an award winning Learning and Development specialist, Executive Coach and Speaker, with a wealth of experience working with major corporate companies across a diverse selection of industries (including Veterinary, Renewable Energy, Mobile Telecoms, Retail, Dental, Automotive, Finance and Steel). A former consultant and now UK Head of L&D for Kloeckner Metals UK, James is an expert in the full L&D cycle from design and delivery to managing talent and apprenticeships. Andy leads the strategy, development and management of Early Talent & Apprenticeships for TUI in line with business needs and government policy. This includes governance of the company’s apprenticeship programmes which were awarded OFSTED Grade 2 in 2011 and in 2016. Andy has led the work of modernising the delivery of qualifications to match business processes; enabling apprenticeships and vocational programmes to extend in to new business functions. He is a regular contributor to government policy boards having worked with the LSC, SFA, BIS and now the IfA, ESFA, and DfE on learning & skills matters and how they contribute to growth, inclusion and productivity. Kav heads the People function at Redington, a global investment consultancy looking to make 100 million people financially secure. He also sits on the board of Investment 2020, an industry body that is improving the diversity of talent entering investment management. He's had an eclectic career to date; having been an emerging markets equity derivatives trader, a management consultant and an innovation consultant. In between he's had time to work on schemes addressing the lack of career guidance in the state schooling system. The unique perspective his experience brings him has allowed him to come into the work of People/HR unencumbered by legacy views. His alternative and sometimes outspoken views are always interesting and will definitely be food for thought for anyone looking to challenge the norm. Jane Smith is the People Director for Commercial in BT & EE Consumer, where her portfolio includes partnering all UK sales channels, BT Sport and the technology behind some of BT's national infrastructure. Jane has a wealth of experience working in commercial, customer orientated businesses in the UK, Europe and Asia, with extensive experience across operations, projects and all aspects of HR. She’s built and led large teams in multiple markets, specialising in improving and simplifying ways of working to increase operational efficiency improving business performance. As a member of the senior team, Jane has developed the operational and people strategies and led large organisational-wide transformational change programmes, for which she’s been recognised for delivering short-term and long-term results. Over the last two years Navila has been working in the early careers space setting up programmes across the brands. Not only for new hires, but also for existing employees. The role has meant she has run tender processes, ensured quality and compliance to meet all legislative requirements under the new funding rules. Her background as a HR generalist means she has a very different approach on how things would land in the business. She has a real passion for early talent into the business being a pipeline for the future, but also ensuring that Consumer are supporting the communities they are working in and giving opportunities to those from disadvantaged backgrounds. Hannah has overall responsibility for the delivery of all recruitment campaigns at TARGETrecruit, working with many leading graduate brands across a wide variety of sectors. She previously worked for GTI as an account manager from 2003-2007 before taking up a role leading Graduate Recruitment at the Financial Services Authority. During her five years at the regulator, Hannah was responsible for the FSA's marketing strategy and delivery, selection design and execution, and programme management of the FSA's graduate development programme, specialist schemes and undergraduate and MBA intern programmes. Beth Orford is a learning and development specialist with a particular interest the use of apprenticeships to build talent flows for organisations and great careers for individuals. She is the founder of the Apprenticeship Development Network North East – a community of practice which now includes over 200 members working to better understand apprenticeships. She has over 20 years of experience in financial services roles spanning operations, management, risk, culture, and of course, learning and development. Beth currently works for Virgin Money as a Strategic Resourcing Partner; leading the Virgin Money AcadeMe. This is the home for early careers development for the business – building skills into and at work for a wide variety of people. Through this role she has responsibility for employability outreach programmes to young people and those changing careers, work experience programmes, and strategic through to on the ground delivery of their growing portfolio of apprenticeship levy funded programmes. Georgie is the marketing manager for Milkround, the UK’s leading student and graduate job board. Having worked at Milkround for over 3 years, Georgie has taken a keen interest into the ever-changing world of early talent and how employers need to encourage students from all backgrounds to apply for their roles. A key highlight for this year has been working with Access Accountancy to tackle social mobility and demystify a career in accountancy within low socio-economic schools.